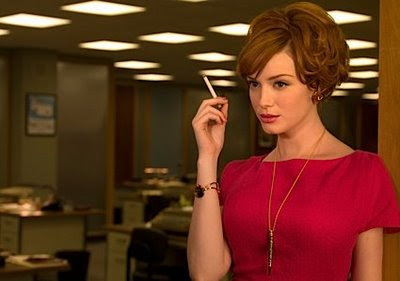 It is no secret that I believe Joan Holloway/Christina Hendricks is smoking hot. Furthermore I absolutely adore Joan...she's so sultry and sassy. The hot days of summer are finally upon us and the new Season of Mad Men is just around the corner (August). So, I thought I would put together a little guide to summer fun Joan Holloway style. First up, What Would Joan Wear for summer? I am pretty convinced that Joan Holloway would wear a Zelda Sweetwater vintage inspired bathing suit. Personally, I think she would go with the "Jane" style with its molded cups to support her ample bosom. The delicate pink color would look fantastic with her peaches and cream complexion and the detailing would highlight her dangerous curves. Of course, Joan would wear sunglasses. Frankly, there is a lot going on with sunglasses right now, but there always is. I don't think Joan would go for the flash of Tom Ford or for the ubiquitous Wayfarer. 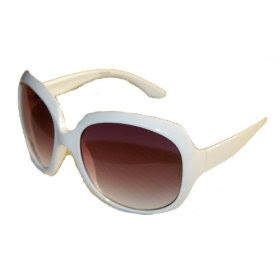 I think Joan would go for a slightly oversize white framed pair of sunglasses, like these ones in the Chic and Charming Amazon shop (white frame/smoke lens). What Would Joan Drink for summer? I think Joan would go for a Mai Tai, it is a little kitsch in that 1950s tiki bar kind of way. I'm personally a little obsessed with Mai Tais right now, but only if they're made with highest quality fresh ingredients. I don't think Joan would drink a Mai Tai out of a glass like this one, unless maybe she was somewhere tropical. 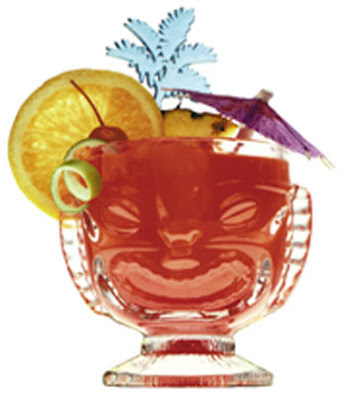 I'm still kind of working on finding my favorite recipe, you can check out a bunch of Mai Tai recipes here. Where Would Joan Vacation for summer? At this point Joan is married to a Doctor (who I think is horrid). So, she could splurge, perhaps for the first time, on her summer getaway. 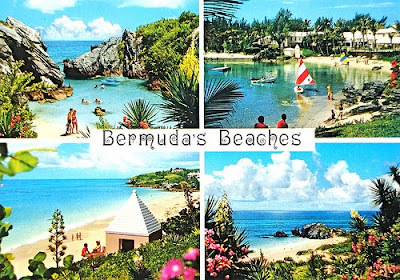 I think Joan would go to Bermuda or California. Perhaps to Hollywood, where she'd spot a movie star out at a bar and try to make all the girls in the office jealous about it when she got home. Love Joan, I tried not to read too much for fear of spoilers, because I have fallen dreadfully behind on my MadMen, but All the pictures seemed just like her!! Mad Men was just nominated for a Emmy this morning. LOVE the post! I can't wait for Mad Men to start again!